Fat transfer or injection involves a surgeon transferring or injecting the body’s on fat from one area to another. A common example would be harvesting fat from the tummy and injecting it into the face. The result is natural filling or volume increase to the target areas. As the face ages with time, as well as skin changes (sun damage, wrinkles and skin looseness) occurring, the volume of fat in the face also decreases. We commonly see this in the cheeks, the lower and upper eyelids, and the temples. Doctors often use fillers to address these changes. Temporary fillers such as Hyaluronic acid are popular to inject into the cheeks, tear troughs and nasolabial folds. The disadvantage of these is that they are temporary so ongoing repeat treatments are necessary to maintain a result and also they are artificial. 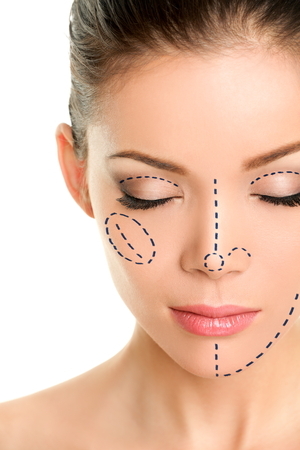 Fat transfer or injection is an alternative, natural way to add or replace volume to the face. Fat transfer or injection is becoming more and more popular as an adjunct to facelifting surgery. It also easily combines with other procedures. Surgeons commonly take fat from the abdomen, hip or knees. The fat then undergoes special preparation prior to injection into the face. Most commonly the cheeks, tear trough areas, outer upper eyelids and temples are injected. No scars are left using this technique. Fat transfer to the face can also be done as a stand alone procedure without facelifting surgery with good effect. Advice regarding the best combination of procedures will determined in discussion with Dr Drielsma following examination and assessment at the time of consultation.